This year ICAC has reinforced its commitment to the International Day of Women and Girls in Science, which it already held in 2018 with different events. ICAC’s Equality Committee has organized different dissemination talks and has joined the initiative of the Dissemination Association of Camp de Tarragona. 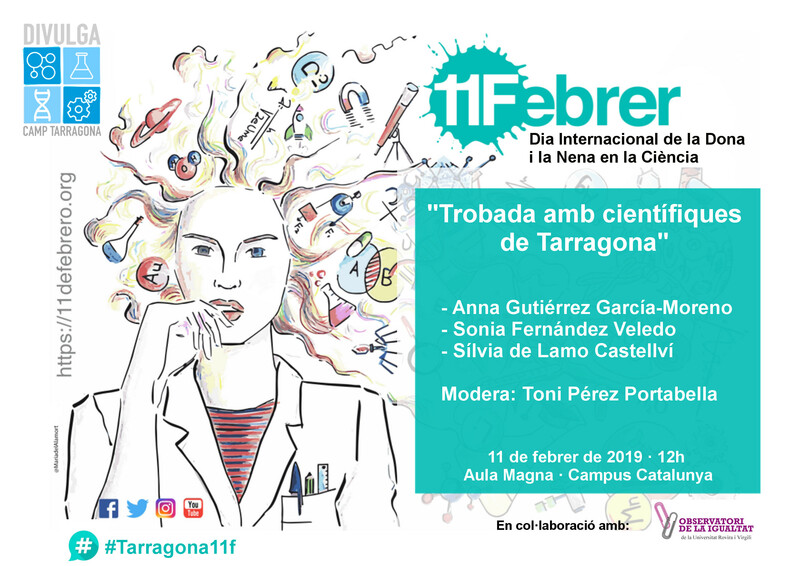 An ICAC researcher participates in one of the Meetings with scientists from Tarragona, organized by the Dissemination Association of Camp de Tarragona on the occasion of 11 February celebration (program). On Monday, February 11, at 12 noon in the Aula Magna of the Campus Catalunya at the URV. 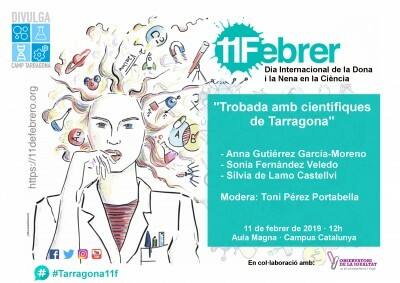 With the participation of the scientists: María José Figueras (rector of the URV), Anna Gutiérrez (ICAC), Sonia Fernández (IISPV) and Sílvia de Lamo (URV). Facilitator: Toni Pérez-Portabella. The talks organized by the ICAC will be held by the researchers Lídia Colominas and Maite Salagaray. Archaeology and inequalities, by Lídia Colominas. Wednesday, February 6, IES Josep Tapiró (Reus). The secret of Dr Barry, a cargo de Maite Salagaray. Monday, February 11, IES Sant Pere i Sant Pau (Tarragona). On December 15, 2015, the General Assembly of the United Nations proclaimed February 11 as the International Day of Women and Girls in Science.